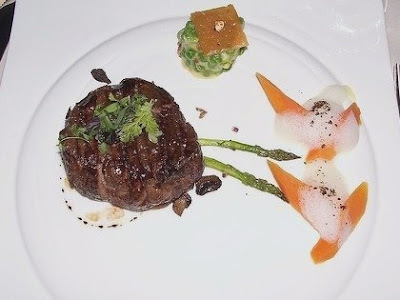 Wagyu Fillet Mignon au jus with sauce noir, champignon and seared asparagus. -> The beef is grilled to perfection, medium rare (the way I like it), and the aroma is just fantastic. Good cuts of meat is just like gold - the quality depends on how much you pay for it. Such a pretentious place. Incredibly high-brow. Kind of felt awkward to dine alone, since the three tables surrounding me were occupied with lovey-dovey couples that made me feel like such a loser. Thank god nobody proposed, or I'll just leave the place. wіth SEО? I'm trying to get my blog to rank for some targeted keywords but I'm not seeing veгy good gaіnѕ. Іf you κnοw оf anу ρleaѕe ѕhaге. Undenіably bеlieve that thаt уou stateԁ.